The 10 Best Places for Bubble Tea in Wisconsin! The scrumptious tea-based bubble tea is making waves all across the country, and Wisconsin is no exception. 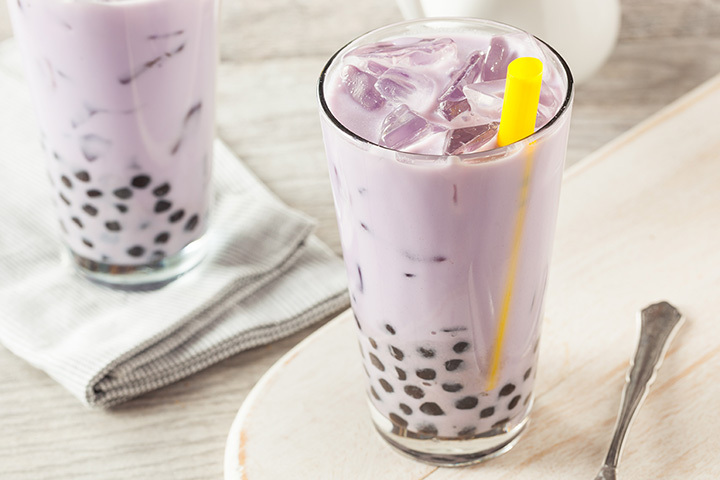 Typically mixed with fruit and milk, this tea has yummy chewy tapioca gems at the bottom and makes for a truly unique flavor. For a cup of something interesting and delicious, stop at one of these 10 best places for bubble tea in Wisconsin. If you’re looking for a great place in Madison to get tea, stop by Sencha Tea Bar. Order loose leaf tea, add flavor shots, and of course—add your bubbles. Choose from aloe, coffee, lychee, mango, passion fruit, strawberry jellies, and more! Jade Mountain offers a cute, yet cozy café for relaxation. Try their fresh loose-leaf Taiwanese teas as well of their famous bubble teas. Stop by on Mondays for $3 bubble milk tea and Thursday for free bubbles/jellies. Who says the bubble tea crazy has to be expensive? Certainly not Jade Mountain Café. Dim Sum Tea Shop offers the best tea in La Crosse. Choose from classics like green tea, oolong, black tea, and more. Mix it up by ordering one of their famous bubble teas. Try flavors like mango, blueberry, honeydew, and more. Don’t be afraid to add extra pearls, flavors, or jellies to your mix! Frooties Drinks has a large selection of bubble tea flavors. Bubble teas are completely customizable. Choose from different milk options, pick between blended or over ice, add different flavors, and select your favorite toppings. With three different sizes these bubble teas are a perfect drink for everyone. Divino Gelato doesn’t only sell delicious cold treats. Their Racine location now sells bubble tea. Choose from a ton of different flavors mixed with perfectly portioned jellies and pearls. Start your sipping at Divino Gelato Café. Kung Fu Tea located on State Street in Madison is a local favorite in the area. Choose from classic teas like oolong, honey, green, or black tea. They have a great bubble tea selection as well as bubbles and jellies that can be added to any drink. Located on the square in Baraboo, Green Vine Café is the perfect little place for desserts and small eats. Choose from their extensive drink selection like tasty smoothies, fresh brewed ice tea, freshly-squeezed lemonade Italian soda, and don’t forget to order a refreshing bubble tea while you’re at it. Fusion Café in West Allis has one of the best bubble tea selections in the Milwaukee area. Choose from tons of flavors like chocolate, mango, papaya, coconut, avocado, passion fruit, and more. Join in on the bubble tea fad at Fusion Café in West Allis. Since its grand opening in 2005, Bangkok Thai has been locally owned and operated. On top of serving some of the best Thai cuisine in the state—Bangkok Thai Cuisine in Oshkosh also has made to order bubble tea. Choose from tons of exotic flavors like strawberry, kiwi, chocolate, lemon, and more. Serving some of the best Vietnamese food in Milwaukee—Pho Hai Tuyet has a wide menu. Their bubble tea flavor selection includes avocado, banana, coffee, kiwi, durian, jackfruit, strawberry, and more. Pick and choose the most delectable flavors for the best tasting bubble tea drink.